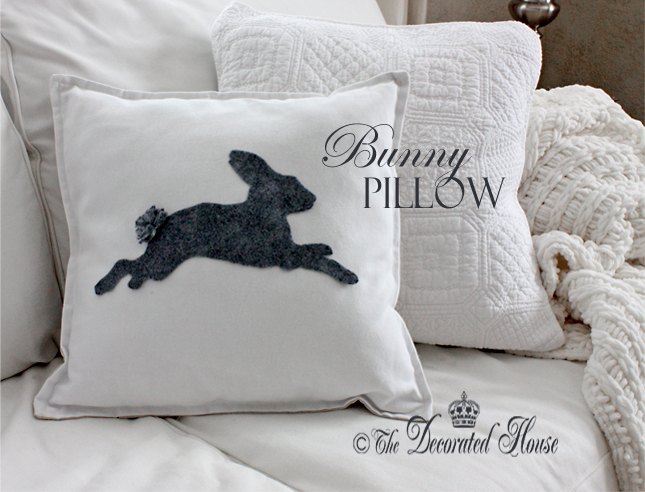 This year I made a new pillow shown in the picture below with a leaping bunny rabbit! There are several graphics around the web that you could use. Look for ones that are copyright free. I adapted mine by redrawing one to the look I wanted using a couple different ones for ideas. For 2013, I am using grays, pinks and metallic gold for accents. A bit different this year. This gray felt was such a pretty color, it was the springboard for using gray. First I created the image on the computer and printed it out. You could however skip the computer and simply draw it on paper to begin with. Take the paper, lay it on the felt, image face up. The felt sheets are 9 x 12 in, so your image on 8 x 11.5 paper will be perfect. Use a couple of pins to hold the image in place while you cut. Cut around the image with sharp scissors so you have a nice clean edge on the felt. 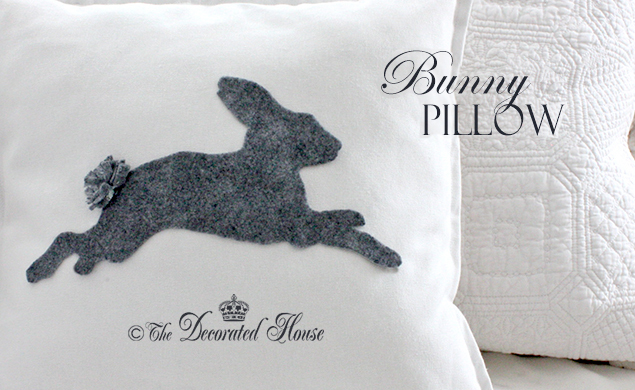 Adhere you fabulous new felt bunny or other image using fabric glue, or stitch witch, or a removable adhesive if you want to use the pillow for something else as well. For an extra little dash of whimsy, make a little pompom tail for your bunny. Cut thin strips, fold all together in the middle, tie with thread or thin string an fluff up. How to make a 5 min pillow cover is HERE and would be perfect for this project. Adorable, Donna! I love the tail! The gray felt is splendid, indeed!!! 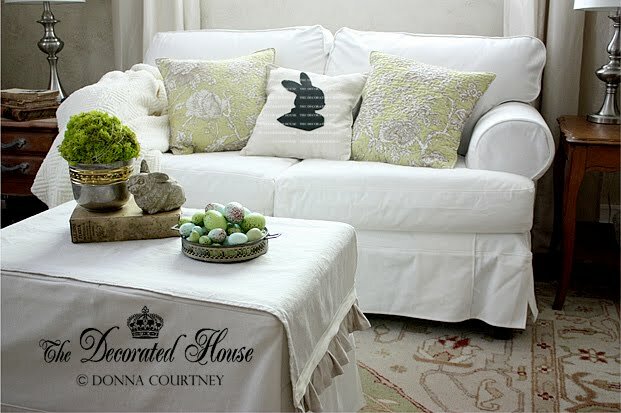 Love the "cotton tail" dimensional effect!!! Your pillow is wonderful I love the gray felt color. Donna love that bunny, you should sell them, that tail is too cute ! !